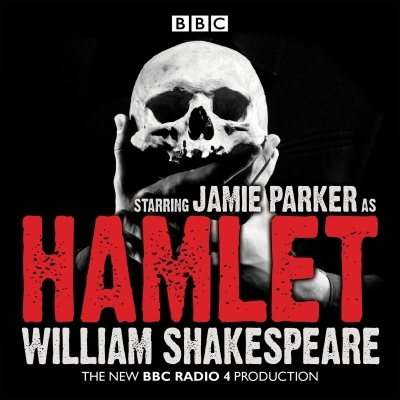 Jamie Parker stars as the Prince of Denmark in this brand new BBC Radio 4 full-cast production. At the Castle of Elsinore in Denmark, the court is uneasy. The king of Denmark has recently died and the throne has been claimed by the king's brother, Claudius. Prince Hamlet, still in mourning for his father, distrusts Claudius and believes that what has happened at the court "cannot come to good." The ghost of his father has told him he was murdered by Claudius. Can it be true? He arranges for a troupe of players to emulate such a murder before the court, in the hope that the truth will out. As circumstances play out, and Hamlet is variously counseled and challenged by the King and Queen, Laertes, Polonius, Ophelia, and Rosencrantz and Guildenstern, the fabric of the court starts to unravel. Soon Hamlet's indecision leads to a series of tragic events--and to what end?